When was the last time you voted? As member-owned electric cooperatives, voting is already in our DNA. It’s how we maintain an electric utility which is responsive to the consumers it serves. 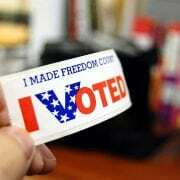 But voting also plays a crucial part in our representative democracy. Federal, state and local elections offer an opportunity to exercise a civic responsibility — to select the best leaders for our communities. Yet in places all over America, even those served by electric cooperatives, citizens aren’t exercising that right. In the 2012 national elections, voter turnout dropped overall, but the decline in rural counties was 18 percent—twice that of the nation as a whole. And when voters miss the chance to vote, they also lose the opportunity to communicate their concern to our leaders about the issues that matter to us, where we work, live, and raise families. Reliable electricity, access to rural broadband and the quality of our healthcare system are just a few issues we all care about. Still, they only become priorities if enough people show elected officials that they are paying attention. Registering to vote and voting are the most effective ways to send this message. When we go to the polls with the cooperative principle of “Concern for Community” in mind, we instantly improve our political system. It’s a system designed to produce a government “of the people, by the people and for the people.” People like you and me. I’d like you to join me in a new initiative to get every eligible person registered to vote—you, me, our family and friends—and take the pledge to BECOME A CO-OP VOTER. America’s electric cooperatives are launching a campaign to help get out the vote and insert issues important to co-ops into the public discussion. 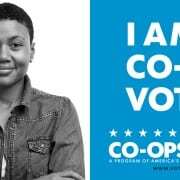 Called “Co-ops Vote,” this effort will help boost voter turnout in areas served by cooperatives across the country to ensure that our voices are heard loud and clear every day, and especially on Election Day. Here’s what you can do to help. Visit the Co-ops Vote web site, WWW.VOTE.COOP, and take the pledge to BECOME A CO-OP VOTER to support your community and electric cooperative when casting your vote in 2016. The web site will give you information on your elected officials and candidates, the voter registration process, election dates and locations, and background about eight key co-op issues we want our elected leaders to understand: rural broadband access, hiring and honoring veterans, low-income energy assistance, cyber-security, water regulation, rural health care access, affordable and reliable energy, and renewable energy. 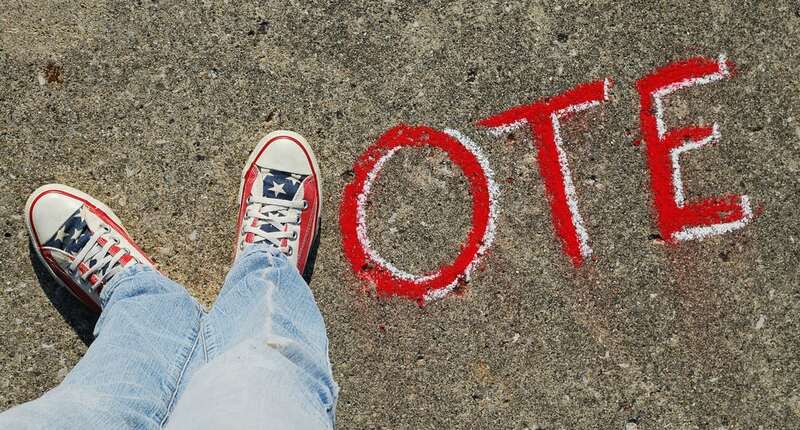 Co-ops Vote is a non-partisan program developed by the National Rural Electric Cooperative Association (NRECA), the national service organization that represents the nation’s more than 900 private, not-for-profit, consumer-owned electric cooperatives. With 42 million members across the nation, electric co-ops are a powerful voice on national issues that have a local impact. If you have any questions, please visit WWW.VOTE.COOP. I hope to see you at the polls!